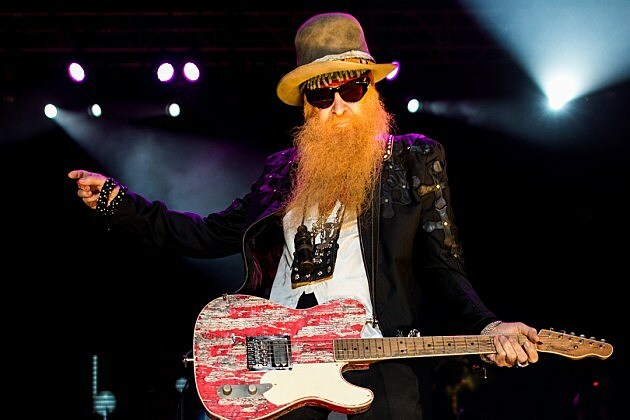 Billy Gibbons has postponed the first 12 dates on his tour in support of his upcoming album, Perfectamundo. The news was announced in a press release today, and the new dates can be found below. The tour was originally scheduled to begin in Atlanta on Nov. 10, but will now commence on Nov. 27 in Ft. Lauderdale, Fla. But the press release says that Gibbons will make up the dates in those cities in early 2016. No reason was given for the switch. However, those itching to see Gibbons will get their opportunity when he appears on TBS’ Conan late night talk show on Nov. 3, three days before the release of Perfectamundo, which finds the ZZ Top guitarist putting his own spin on Afro-Cuban music. Gibbons has assembled a band comprised of Latin musicians that he’s dubbed the “BFG’s” for the album and tour.